Motor H.P. : 3 -15 H.P. Since its foundation Indian Hydraulics has come up as the largest firm actively involved in Manufacturing and Exporting a large variety of Rubber Moulding Press,Compression Molding Press, Rubber Transfer Molding Press, Rubber molding press with core lifters, Hydraulic Press, Rubber Bale Cutters, Bakelite Molding Press, Brake Line Molding Press, Hydraulic Melamine Molding Press, Hydraulic Bullet Proof Helmet Moulding Press, SMC and DMC Molding Press, Hydraulic Cylinders, Hydraulic Power Packs. These equipment are developed as per the global standards. To adhere to those set standard, different quality control checks are applied at every production levels prior to its final delivery that is carried out by our group of well expertise engineers and technicians. 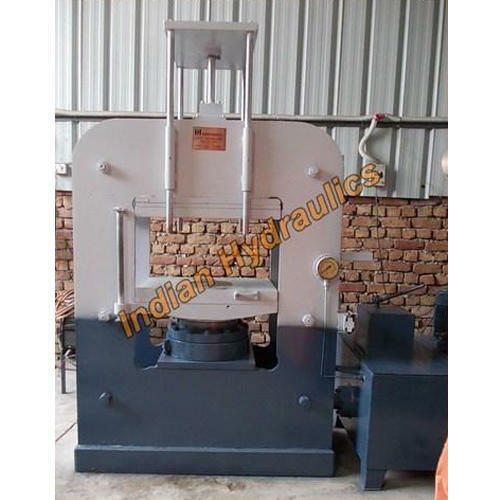 Having established ourselves last year with 12 years of experience in the industry of hydraulics and hydraulic machines at New Delhi, Delhi, India, we, Indian Hydraulics have dedicated our efforts to complete quality solutions for Rubber Moulding Press, Rubber Press, Rubber press hydraulic, molding press, hydraulic molding press, hydraulic rubber molding press, Rubber Bale Cutters, Rubber Transfer Moulding Press, Hydraulic Press, etc. We have become a trusted manufacturer, supplier and exporter on the basis of our compliance with international quality standards and various quality-focused processes. All our products are manufactured using high-end technologies installed at our premises and superior quality raw materials procured from certified vendor sources. Our expert engineers and technicians have always adhered to the specifications of our clients and provided a quality assured range that encompasses durability and efficiency. We have satisfied a large clientele and aim to continue the same in long run.